(The sword on 2008 Shinsaku-Meito-Ten(Modern Master Sword Contest 2008)1st prized(The best sword of the year) The Prize of The Chair man of NBTHK. 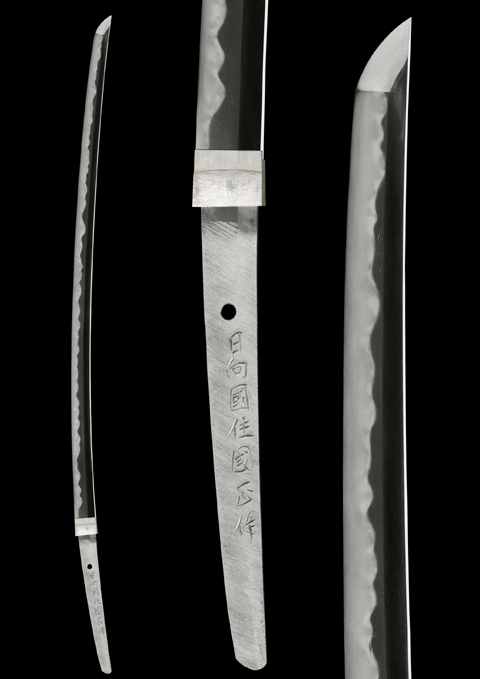 Existence of Tachi from Nanbokusho period is very very rare.Irecreate Original shape of the Tachi, studied and imagine from an existing Nambokucho Suriage Tachi of 2shaku 3sun, This sword is expression of my opinion of a sword, which should be good balanced and right weight for handling freely. 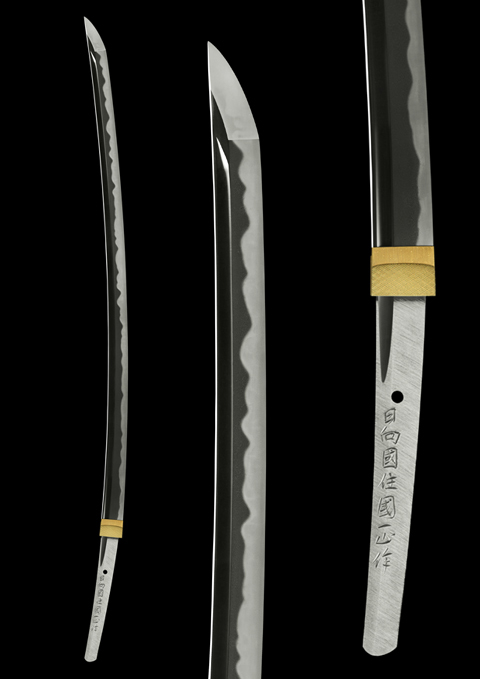 This is the sword for Nakamura sensei who is teaching lai In Miyazaki., it has no "Hi" and made it high shinogi. make a good balance, so you don feel the weight, and try to make it assimilates with the body. The photos for the catalog for Germany. 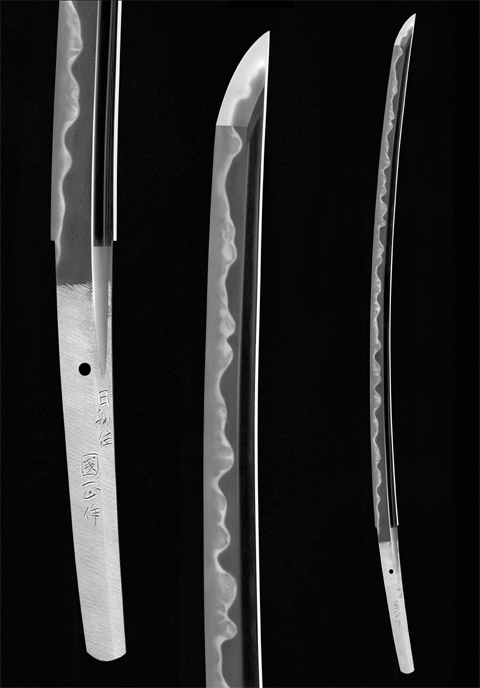 The sword is Kage-uchi(extra blade) for the contest 2005.
the quality of my work had been stable at this year. Award the prize from the chairman of Zen Nippon Tosho kai of this year. 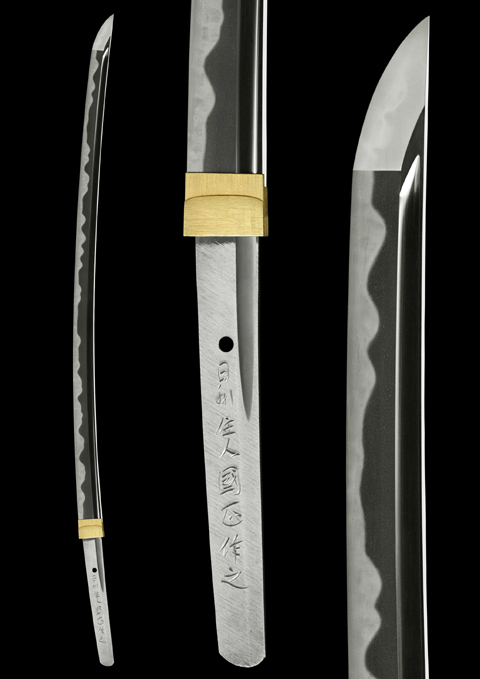 I was having hard time for Yakiire with this blade until the date of dead line for the contest. the hamon was not what I wished, but, it has got high reputation and got the high prize! 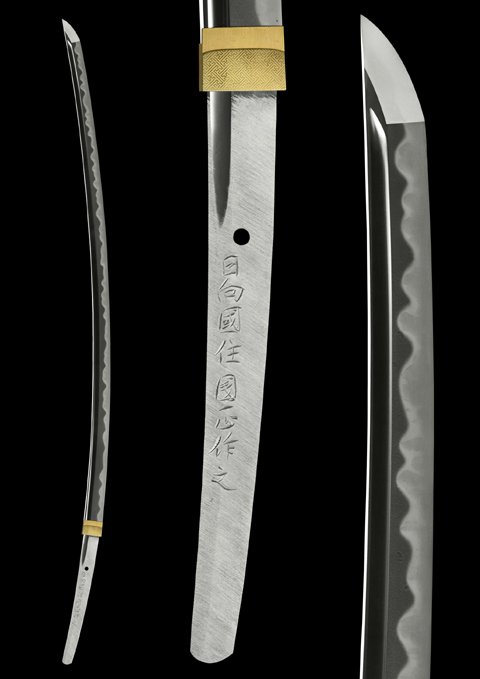 it made me re-think about what is the beauty of the sword? open to deeper prospective.